You are here: Home / Parenting / What A UK Mother Of A Child With “Down’s Syndrome” Has In Common With American Moms…And How We’re All Like A Bunch Of Balloons! What Does A Mother In the UK Have In Common With Mothers In the United States? I sat myself down with a cup of Earl Grey tea and began thinking. Thinking about his audience, in other words you dear reader, and I began to feel nervous that I might not find anything to say that you could relate to. Would you see through my writing with its strange spellings of ‘colour’ and ‘realise’ that my computer tries to correct, past my quirky little jokes, to the person beneath that is me, a slightly eccentric little English woman, with my smallish car that prefers to be driven on the left, and my compulsive urge to say ‘trousers’ instead of ‘pants’ (which are something else entirely to me! But we won’t go there. ), past all that to a campaigner, a blogger, a parent just like you. But then, right there I had made an assumption about you, my American friends, I had drawn upon a ridiculous stereotype of what I think that you think my differences are, and in doing so I was guilty of keeping the preconceptions alive. And then, right there I saw my starting point. For just as I am no more the ‘typical’ ‘average’ ‘norm’ of a Brit and you are not a cookie-cutter American, none of us are ‘standard issue’ Down’s Syndrome parents either and our children won’t conform to a certain type either. Children with Down’s syndrome (yes, yes, I know, that’s how we write it over here) are of course as individual as their families, their cultures, their church groups, their communities and schools. And at the root of it all we are unique individuals with our funny little habits and ways of doing things, our likes and dislikes, but we do all share the human spirit, the common experience of life, those primal feelings of pride and love and fear that come from the heart and not the head. Not all of you will have felt the fear and desperation that washed over me when we passed from the blissfully ignorant, arrogantly complacent time before Natty’s arrival, into the world of Down’s syndrome. Not all of you will have had the ‘bad news’ about the diagnosis broken to you by a consultant using hushed embarrassed whispers, accompanied by tears and sorries from your midwife, while your baby was out of sight and reach. This after hours not daring to ask because you dared not ask about what you naïvely thought was your worst nightmare and your brain could absolutely not formulate a question because you were terrified of hearing the answer. Many of you will have shared the helpless feelings as you put your child’s life into the hands of a heart surgeon, a medical angel of the highest order. You will understand the fear that crushes your chest and makes it hard for you to breathe as you pace the corridors praying for your child’s life, waiting for the call that the surgery is over. Some of you might have been lucky enough to know and love someone with Down’s syndrome before your wonderful children entered your worlds. How I envy you. How I wish I have known then what I know now. Natty has been an amazing teacher and has taught me well, but it took precious time to learn what life is really all about. I cannot turn back the clock, I cannot go back to those early days and simply see Natty for the beautiful and vulnerable baby she was, our miraculous daughter, as she lay in an incubator fighting for her life, unaware of the stigma attached to her extra chromosome. But I can make a difference for other new and prospective parents. I can melt away the fear and buy them irreplaceable time, time to bond a little sooner. I can tell them that their children have exciting and full lives ahead of them for the world is their oyster. Likewise I can advise doctors on how better to deliver unexpected news, but never bad, and provide early support for new parents and siblings. And this is where we all share one important thing in common, for as different as we all are we all want the very best for our children and young people in our care. However we started this journey, none of us could be prouder of our children, nor would any of us want to change a single hair on their heads. We all want to dispel the myths that continue about Down’s syndrome, take away the fear and ignorance that surround it, remove the false stigma, stop prejudice and support other parents further behind us on the journey. I’m sure you’ve heard some of these, or similar in your time as a parent. No, my ‘old eggs’ probably wasn’t the only factor in Natty having Down’s syndrome. No, we didn’t ‘have testing then’, but if we had she would still be here. 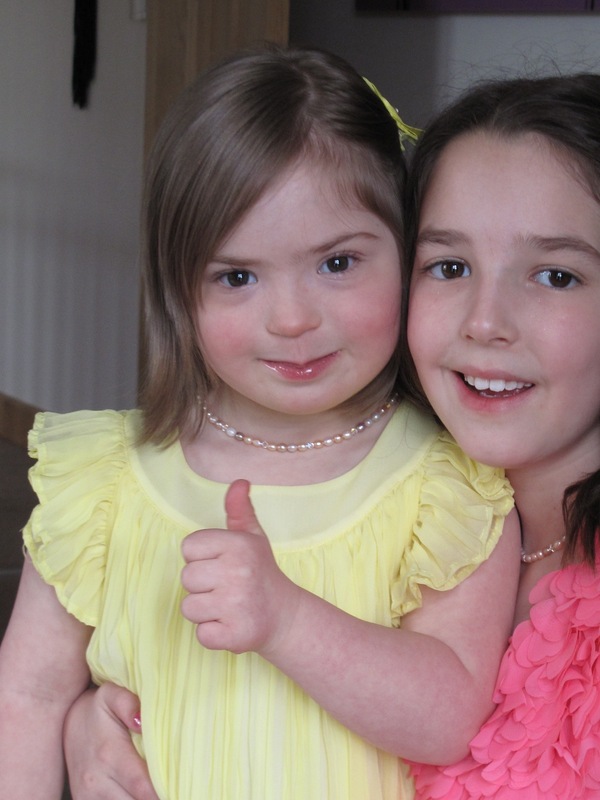 No, Down’s syndrome isn’t ‘terrible’ and you don’t have to feel sorry for us. No, I would never have ‘considered having her adopted’. Yes some ‘babies with DS can breastfeed/nurse’. Yes, she is ‘musical and loving’ because we are as a family. She’s also funny and moody and manipulative and clever and sad sometimes too. Yes, she’ cute’ right now because she is 6, but she will grow into an independent young woman with a mind of her own. No, you can’t ‘catch Down’s syndrome’. No, our other daughter doesn’t ‘have it too’. Yes, she is ‘pretty’, don’t be so surprised. She loves modeling and showing off to the camera. She does it professionally. I don’t think you can just ‘have a touch of it around the eyes’, that’s like being a ‘bit pregnant’ I guess. Alongside wanting to join together to bust these myths we all want to shout from the rooftops that as much as our children might have certain traits, characteristics or hurdles that they share, they are not defined by their Down’s Syndrome. I never show my hurt if someone if unintentionally insensitive. I simply draw them in to chat and leave them a little more educated. That’s not to say I haven’t run back to my car and cried on many an occasion though. And as I made my notes for this Noah’s Dad post on the back of a sheet of Natty’s colouring in, I noticed I had drawn circles around each key idea with squiggly lines going from one to another. They looked like a bunch of balloons! 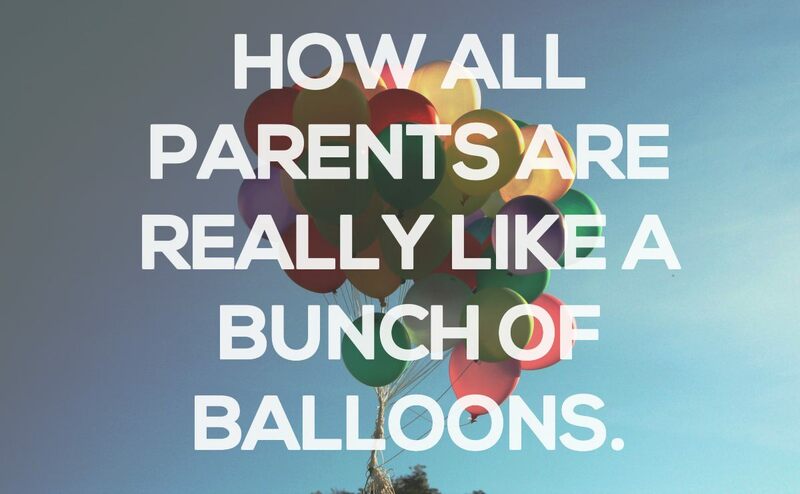 How very like a bunch of balloons we all are I thought to myself! Each a different shade or colour, some larger than others, some flying a little higher, other cushioning and supporting, holding their neighbours high, some visible, some anonymous within the group. We move in the wind together but none in exactly the same way. Without one another we don’t have the same impact. The world of blogging and online support groups is an incredibly small one. It’s so very easy to make contact and help one another online and geographical distance is rarely a barrier these days. And for the support and love from across the globe, I thank you all, my fellow balloons. Bio: Hayley’s blog Downs Side Up has been voted top DS blog in Europe two years in a row. Her daughter Natalia is a clothing model and she campaigns for ad inclusion. Hayley aims to gently change perceptions of the condition and support other parents through her writing, lecturing and training teachers and medical professionals, as well as campaigning at parliamentary level for changes to the disability abortion law. 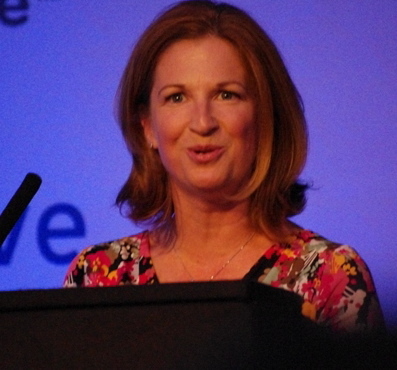 She can often be spotted giving national TV and radio interviews, and is the Britmums Special Needs editor, a Mencap Charity Mumbassador and writes a regular column for Special Needs Jungle. What are some other things that all parents of children with Down’s syndrome have in common? Leave a comment below and let us know. She did a great job on this post, for sure! As I live in the UK, I’m very used to seeing Hayley’s posts of Fb along with pictures of the gorgeous Natty (along with pictures of the gorgeous Noah and a couple of other great UK bloggers). I love living in this very ‘small’ world where we parents always have loads of support from people we feel we know but have never met! Your children’s achievements remind me in cloudy moments that the future will be ok! 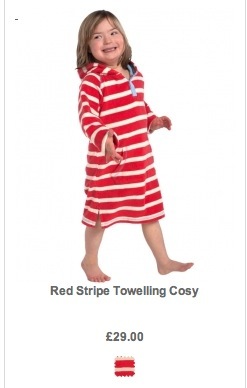 Do you have child with Down syndrome or other special need? If so how old? I believe another aspect that we have in common is we are all AMATEURS. There is no “Raising A DS Child For Dummies” book out there that knows everything. We are all learning and adapting everyday. My wife and I love the new paths we learn everyday behind every situation. No expertise required, just LOVE! Yes yes yes! The very best kind of “awareness”. A thumbnail wouldn’t have done her justice. 😀 She’s adorable. My son with DS is 16 and a true teenage challenge just like his older sister was. Can’t get more “typical” than that. What an adorable little girl…thanks for sharing her photo with us! I always love articles from UK friends! For that matter, I love being able to watch all the goings on in the International Down Syndrome community. We’re far more alike than geography and language differences! 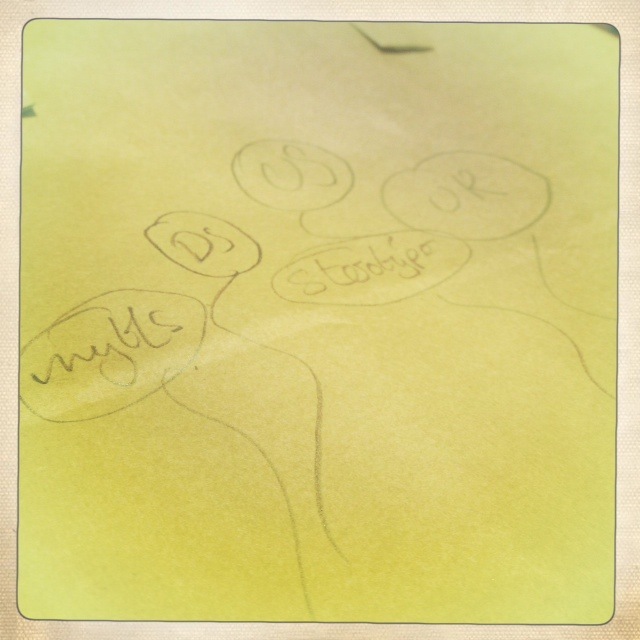 @Marya – You can that again! So very true Marya. It’s that shared human experience that unites us from all corners of the globe. Jill, far too cute to be just a thumbnail! Upon becoming an adult, your DS child could become a ward of the state if no legal provision is in effect for your child. To avoid any complications and to protect my child (we live in Canada) an Application for Litigation Guardianship is required. I know, you are thinking that it seems unnecessary that I, the mother, should apply to the Courts to do what I have been doing all through my daughter’s life and you are right, I am thinking the same. But that is the law. Another important duty we have as a parent is to make certain that our Will and Last Testament clearly stipulates our wishes for our DS child in the event of our death. A lot of planning and thinking is required in order to come up with the “right” solution, if there is one. Depending on family to take care of our vulnerable child is not necessarily the answer unless one offers to take over in the name of love. Financial gratification is in fact part of the plan but one must be careful with their choice. I’ve had a couple of unthought-of offers but when I hear “give me everything and I’ll do it” or “he’ll do it but you’ll have to pay” just doesn’t inspire confidence. Love, sympathy and empathy should come first. Thank you for reading me. Having Haley post here on Noah’s Dad is a little like when they make a super-group out of your favourite bands! 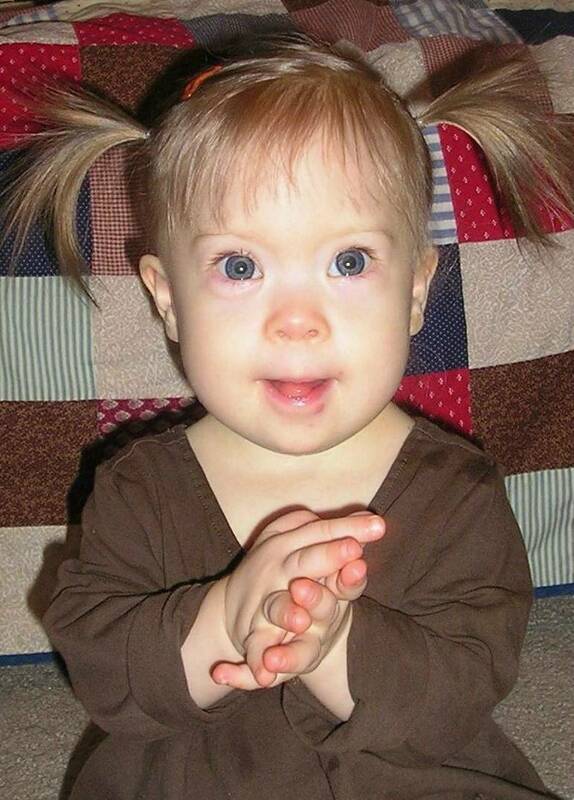 To answer the question posed – Parents of Children with Down syndrome/Down’s syndrome are all parents. Period, I mean, Full Stop. Hey, thanks for the kind words! We think Haley is pretty super, that’s for sure! And she did a fantastic job on this guest post for sure! Thank you for your post. As Natalie, they truly our our best teachers and one thing we all have in common is that we are so blessed to have them in our lives. Someone told me that our Finn was blessed to have a family like us. They were wrong. The blessing is totally ours to have a child like him. Thank you. I am a mother of a child with DS. Her name is Judy Ann and she is 15 years old. So great, thanks for sharing! What part of the world are you guys from? We’re from the Philippines. 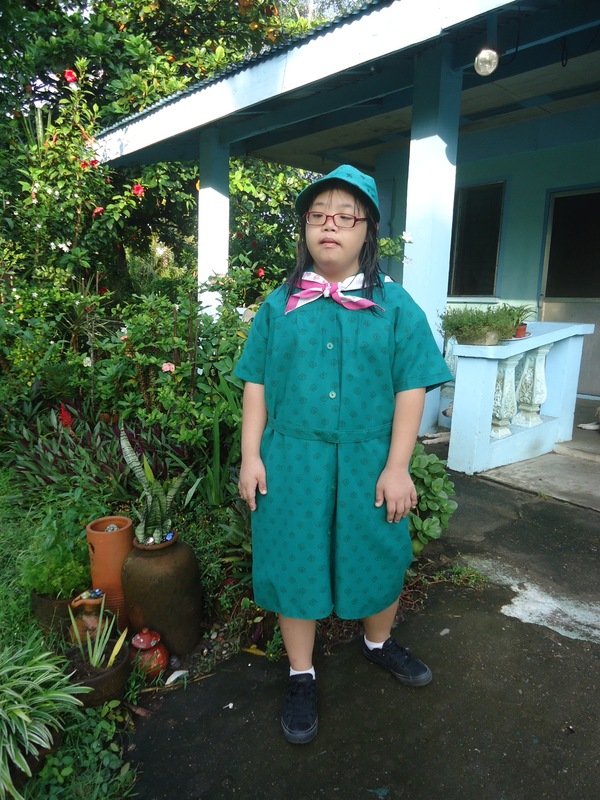 Judy Ann is in her girl scout uniform and will attend the ceremonies for the Girl’s Scout Month. I also have a daughter with down syndrome. 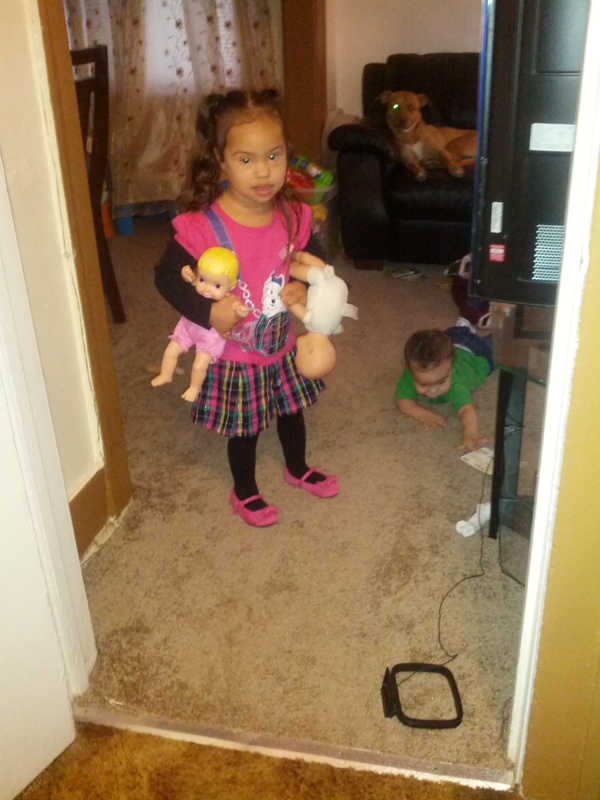 Her name is Ileani Nicole and she is three years old. I knew before she was born that she was going to have down’s syndrome. I’m not sure why but I was never upset or sad. I always knew that everything would be fine. Although I do still have some worries about schiing, prom, marriage etc. I really dislike all of the stereotypes and when you tell some about the DS their first comment is “I’m sorry”..
.this article was very uplifting and I thank you so much…. A nice post with exclusive comparisons. 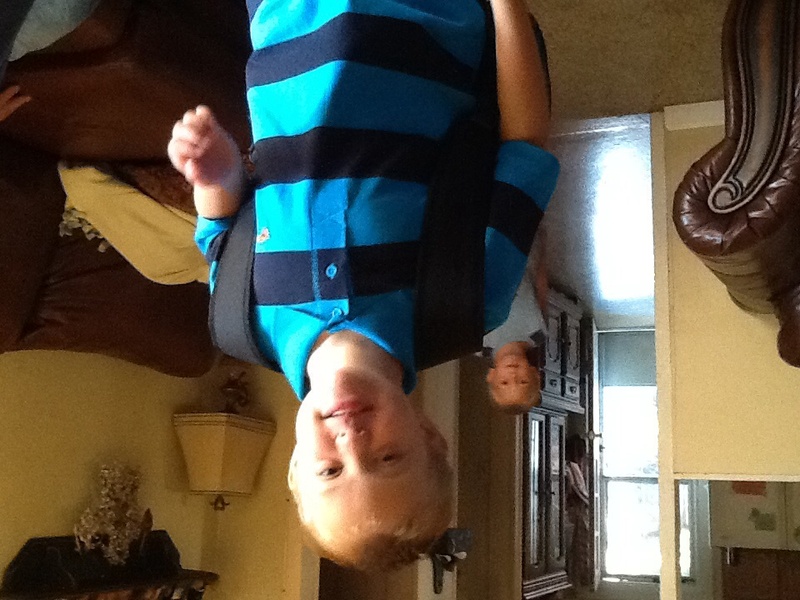 It is very challenging for parents who have kids with downs syndrome. They requires extra care than other kids.